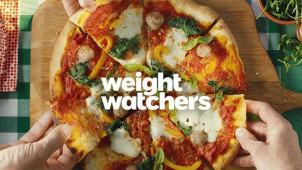 Up to 44% Off Selected Orders at Weight Watchers Get an amazing deal on selected orders at Weight Watchers! 44% Off Multi-Portion Five-in-One Grill at Weight Watchers Save money on this amazing multi-portion grill at Weight Watchers. 41% Off Fold-Out Grill at Weight Watchers Enjoy guilt-free food with amazing deals at Weight Watchers! 26% Off Air Fryer Orders at Weight Watchers Forget oil, grab this air fryer from Weight Watchers today! Choosing to live healthier and lose weight is a big decision for many people. You need the confidence of a simple eating and exercise plan to meet the results you are striving for. Both men and women are discovering simpler yet healthy solutions with easy to follow plans from Weight Watchers. Whether you’re new to healthy eating and weight loss, or if you're looking for an alternative to an unsuccessful diet this summer - get the best value plan and start your effective weight loss journey today. People all over the world are using Weight Watchers as their starting point so that they can lose weight in a healthy way without sacrificing the foods they love, now you can too! There is no better way to get inspired and to help yourself stay on track than when you attend your Weight Watchers meetings. Held on a weekly basis, this is your chance to check-in with your group leader and friendly peers. Every meeting will help you on your new journey to great health, by sharing in yours and others' experiences of weight loss you'll feel that sense of community and support which will help you maintain a fresh attitude towards the healthy and active lifestyle that you're embracing. It's time to feel incredible again! How do I use my Weight Watchers code? See your discounts in your payment total straight away and continue to register your member details and finalise your transaction. Sign up to the Weight Watchers newsletter to stay in the know about joining fee offers, the latest membership features and much more! What are Weight Watchers SmartPoints? SmartPoints is the simple Weight Watchers counting system that lets you easily keep your intake of unhealthy foods at bay. Every food has an assigned SmartPoints value which is based on its amount of calories, saturated fats, sugar and protein. Learn more about your new outlook on nutrition here. Can I cancel my Weight Watchers subscription? You can contact Weight Watchers by calling 0345 345 1500 within 14 days of your purchase. Find out more information here such as how to contact them via email or in writing. Do I have to attend Weight Watchers meetings? As mentioned, meetings are a great way to get support throughout the programme but you can also follow your plan 100% online and with the app should you prefer. This way is equally as motivating - just find what's right for you! You can choose between attending Weight Watchers meetings and having online support too, or you can use the Weight Watchers app to follow the programme online only. Find an ideal Weight Watchers plan for you. Weight Watchers' handy Help section covers a lot of the common questions you may have, so is a good place to look first. If you want to look fab for the summer, there’s no better place to tackle your health than Weight Watchers. With our Weight Watchers vouchers you'll be on your way to a healthy body, diet and lifestyle in no time. If you’ve struggled with your weight and fad diets in the past, then this is where to get some guidance. Start looking forward to breaking bad habits, without breaking your bank balance. Downloading the Weight Watchers app is a great way to keep track of your daily diet while you're on the go. The app lets you scan the barcodes of your favourite food so that you can see how many points are in each serving, while you can track your activities too and stay on top of your fitness. The easy way to use the Weight Watchers point calculator and giving you access to recipes, guides and an online community in the UK too, download the app and you'll be on the road to success! The healthy Weight Watchers recipes are easy to follow, yummy to eat and the furthest thing from the stigma of ‘diet food'. You'll find pork burgers, halloumi pittas and all sorts of other barbecue classics so you can eat well whilst still making the most of summer. Try it and join with a Weight Watchers discount code to save or even enjoy a Weight Watchers free membership. It’s the perfect way to get stuck in to a plan this year and now you can develop your cooking skills to impress your friends!